Love our Libraries helps to transform primary school libraries by giving teachers, teaching assistants and parents the skills they need to become library coordinators. Our latest research review shows that school libraries have a positive impact on all areas of pupils’ learning, including the development of reading and writing skills, their self-esteem and their overall academic attainment. The review also highlighted that good primary school libraries are run by knowledgeable staff and supportive parents and volunteers, who work together with access to library professionals. They also contain a high quality range of books and are integrated into the curriculum. The online Foyle Primary School Library Course funded by the Foyle Foundation, is now available to all members of the National Literacy Trust. The e-learning course includes four modules which provide the skills, knowledge and access to expertise to help primary schools transform their school library. The course can be accessed using your National Literacy Trust membership and using Google Chrome as the browser. Please read the instructions before you log in. We are pleased to support the Great School Libraries campaign, a three year campaign spearheaded by SLA, CILIP SLG and CILIP. Our research shows that school libraries have a positive impact on all areas of pupils’ learning. Volunteer librarian Clare Zinkin explains how she used the new Foyle Primary School Library Course to transform Etz Chaim Jewish Primary School's library. Kelvin Brown, Governor at Wychall Primary School in Birmingham, found new and inspiring ways to help pupils engage in reading through our Foyle Primary School Library Course. 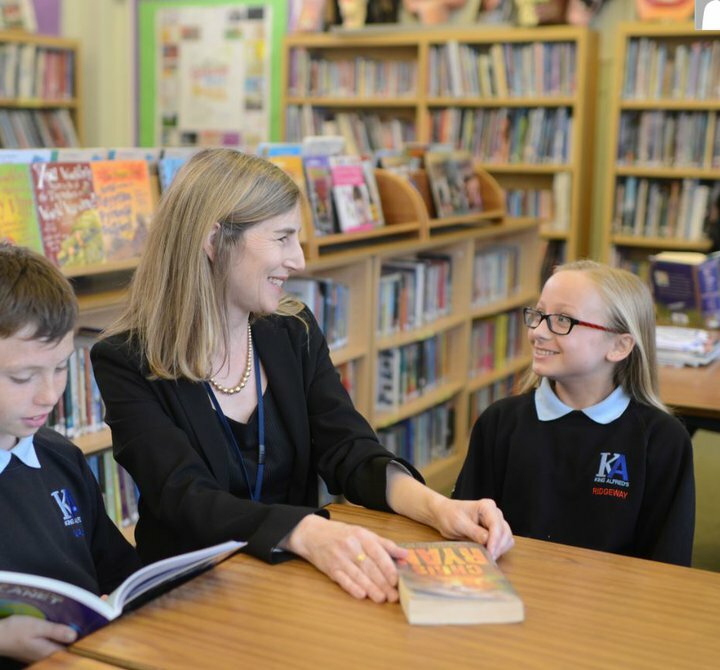 School Librarian Leia Sands describes how the Foyle Primary Library Course has inspired her to fully engage with the whole school community to encourage reading. Read our recent literature review into school libraries in the UK.